This blog post was inspired by my visit at the annual Zabbix Conference in Riga, Latvia this year, where I gave a couple of talks on MySQL and beyond. I must secretly confess, it was also the first conference where I honestly enjoyed being on stage and connecting with the audience – I was even looking forward to it rather than being scared as hell (which is what typically happens to me)! 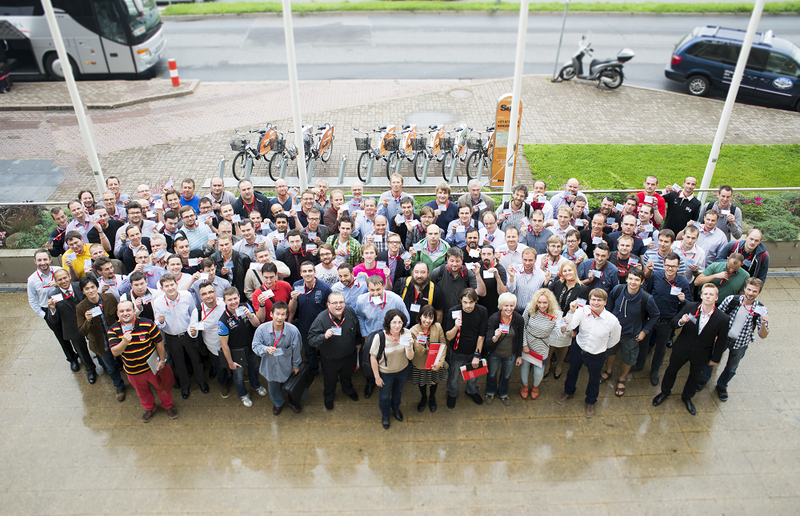 I guess it was all about the positive atmosphere, so big thanks to all the speakers and attendees for that. It meant a lot to me. If I had to mention one negative vibe I heard from attendees, it would be that there was not enough deeply technical content, however, I think this is slightly biased, because people I talked to most, were ones who enjoyed my technical talks and so they were craving for more. And now, without further ado, let me get to the essence of this blog post. The very first thing I did when I arrived at the conference was to approach people who I knew use Zabbix on a large scale and tried to figure out what were the biggest challenges they face. Apparently, in all of the cases, it was MySQL and more specifically, MySQL disk IO. With that in mind, I would like to suggest a few optimizations that will help your MySQL get the best out of your disks (and consequentially will help your Zabbix get the best out of MySQL) and the available hardware resources in general. “Will MySQL run better on SSDs?” I’ve been hearing this question over and over again, both publicly and privately. I can tell you without a shadow of doubt, if IO is currently your bottle-neck – either because some queries take a long time to run and you see diskstats reporting 100-250 reads per second until the query completes (latency), or because you are overloading the disks with requests and wait time suffers (throughput), SSDs will definitely help and not just by little, by much! Consider this: the fastest spinning disk (15k rpm) can do 250 random IO operations per second tops (at this point it is limited by physics) and single query will only ever read from one disk even if you have RAID10 made of 16 disks, so if you need to read 15,000 data points to display a graph, reading those data points from disk will take 60s. Enterprise-class SSD disk, on the other hand, can do 15,000 or even more 16k random reads per second with a single-thread (16k is the size of an InnoDB block). And as you increase the throughput, it only gets better! So that means that the query in the previous example would take 1s instead of 60s, which is a significant difference. Plus you can run more requests on the same SSD at the same time and the total number of IO operations will only increase, while a single spinning disk would have to share the available 250 IO operations between multiple requests. The only area where SSDs don’t beat spinning disks (yet) is sequential operation, especially single-threaded sequential writes. If that is your typical workload (which might be the case if you’re mostly collecting data and rarely if ever reading it), then you may want to consider other strategies. Besides improving your disk IO subsystem, there’s ways to reduce the pressure on IO and I’m going to cover a few my.cnf variables that will help you with that (and with other things such as internal contention). Note, most of the tunables are common for any typical high-performance MySQL setup, though some are explicitly suited for Zabbix because you can relax a few parameters for great effect at the price of, in the worst case, loosing up to 1s worth of collected data which, from discussions during the conference, didn’t seem like a big deal to anyone. – innodb_buffer_pool_size – if you have a dedicated MySQL server, set it as high as you can (ceiling would be 75% of total available memory). Otherwise, you should balance it with other processes on the server, but if it’s only zabbix server, I would still leave it very high, close to 75% of total RAM. – innodb_buffer_pool_instances – on MySQL 5.5, set it to 4, on MySQL 5.6 – 8 or even 16. – innodb_flush_log_at_trx_commit = 0 – this is where you compromise durability for significantly improved write throughput, especially if you don’t own a disk subsystem with non-volatile cache. Basically the loss you may incur is up to 1s worth of writes during MySQL or server crash. A lot of websites actually run with that (a lot of websites still run on MyISAM!!! ), I’m quite sure it’s not an issue for Zabbix setup. – innodb_flush_method = O_DIRECT – if you are running Linux, just leave it set to that. – innodb_read_io_threads, innodb_write_io_threads – don’t overthink these, they are not as important as they may seem, especially if you are using Async IO (you can check that by running “show global variables like ‘innodb_use_native_aio'” in mysql cli). On MySQL 5.5 and 5.6 you generally want to be using Async IO (AIO), so check mysql log to understand why, if you are not. That said, if you are not using AIO and you are not going to, just set these values to 8 and leave them there. – innodb_old_blocks_time = 1000 – this will help you prevent buffer pool pollution due to occasional scans. This is now default in MySQL 5.6 (On 5.5, it needs to be set explicitly). – innodb_io_capacity – set this to as many write iops as your disk subsystem can handle. For SSDs this should be at least few thousand (2000 could be a good start) while for rotating disks somewhat lower values – 500-800, depending on number of bearing disks, will do. Best to benchmark disks or do the math for actual numbers, but default of 200 is definitely too low for most systems nowadays. – sync_binlog=0 – this is the default setting, but just in case it’s above 0, turn it off, unless you run something else besides Zabbix. The price of not synchronising binary logs is that in case of a master crash, replicas can get out of sync, but if you are constantly hitting IO bottle-neck due to binary log synchronisation just because you want to avoid the hassle of synchronising the slave once every five years when master crashes, you should reconsider this option. – query_cache_size=0, query_cache_type=0 – that will disable the query cache. Most of the time you don’t want query cache. And if it’s not disabled in the kernel by these settings, queries (especially small ones) will likely suffer due to query cache mutex contention. – sort_buffer_size, join_buffer_size, read_rnd_buffer_size – if you ever configured these variables, cancel those changes (just remove them or comment them out). I find these are the top three mistuned variables on most customer servers, while in many cases it’s best if they are not touched at all. Just leave them at their defaults and you’re set. – tmpdir – sometimes it’s a good idea to point tmpdir to /dev/shm so that on-disk temporary tables are actually written to memory, but there’s one important caveat starting with MySQL 5.5: if you do that, it disables AIO acorss the board, because tmpfs does not support AIO. So I would monitor the activity on current tmpdir (/tmp usually) and only switch it to /dev/shm if I see it being an issue. I know that Zabbix now supports partitions with a purpose of easier data pruining, however I think there are some extra benefits you could get from partitions. Well actually subpartitions if you are already using partitions by date. The KPI for Zabbix, that you could hear over and over again, is the “new values per second” number that you can find in the status of Zabbix. Basically the higher the value (given you have enough values to monitor), the better is the throughput of your Zabbix. And this is where a lot of people are hitting the Zabbix limits – MySQL can’t insert enough new values per second. Besides the optimizations I have already mentioned above (they should greatly increase your write throughput! ), I would encourage you to try out partitions (if you’re not using partitions already) or subpartitions (if you are) BY HASH as we found that partitioning in some cases can increase the throughput of InnoDB. I did not test it with Zabbix specifically and as it’s not supported by Zabbix out of the box, you would have to hack it to make it work, but if you’ve done all the changes above and you still can’t get enough new values per second (AND it is not the hardware that is limiting you), try partitioning or subpartitioning the key tables by hash. If this sounds interesting but you’re not sure where to start, feel free to contact us and we’ll work with you to make it work. Percona Server, Percona XtraDB Cluster, Percona Toolkit – it’s all FREE! I’m not really sure why, but many people I talked to at the conference thought that all of the Percona software either needs to be bought or that it has some enterprise features that are not available unless you buy a license. The truth is that neither of it is true. All Percona software is completely free of charge. Feel free to download it from our website or through repositories and use it as you please. 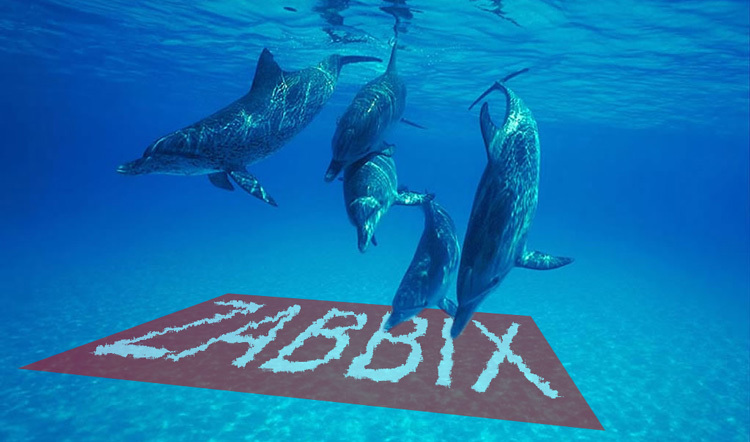 See you at the Zabbix conference next year! Also : Don’t use RAID 5 ! My previous company was using Zabbix to monitor a large environment (> 10 000 routers). I have configured MySQL to use partitionning, made some tunning on mysql server inno db variables, but still slow disk IO. The DB servers were deployed by the company, with RAID 5 by default, and that was the problem !